Rabbi Pearl Barlev, Jewish chaplain at Ronald Reagan UCLA Medical Center, wants everyone to know that the hospital’s Shabbat elevator will take you to your designated floor — no matter your faith. Shabbat is the Jewish Sabbath that runs from Friday sundown to Saturday sundown. 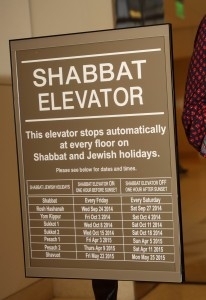 During that time, many Jews traditionally follow an injunction against using electricity; the Shabbat elevator meets that requirement by stopping automatically on every floor during Shabbat and observed Jewish holidays — there is no need to push any buttons. 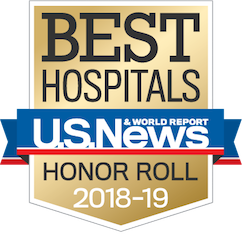 “The elevator is part of the hospital’s ‘Shabbat friendly’ program,” says Rabbi Barlev, who serves in UCLA Health’s Spiritual Care Department. “We hear from our Jewish visitors that it brings comfort to know they are thought of and can practice their observance, particularly during such a stressful time.” Other Shabbat-friendly efforts include a “Shabbat in a bag” delivered to patients’ rooms with items for observing the Sabbath. It contains kosher challah bread, battery-operated candles, kosher grape juice, and a booklet of traditional blessings in English and Hebrew.